Found, today, the Indianapolis Star‘s April 9, 2015, announcement of Oscar Charleston’s signing by the Indianapolis ABCs. 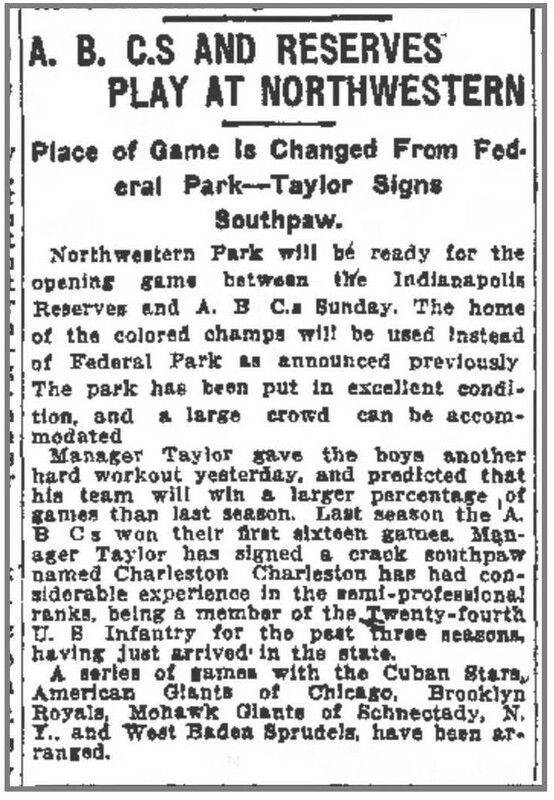 Charleston, “a crack southpaw,” would make his debut on Sunday, April 11, as an 18-year-old against the Indianapolis Reserves. Charleston “had just arrived in the state,” reported the Star. That makes sense. He had received his honorable discharge from the Army on March 20. Not stated, but perhaps known by some of the paper’s black readers, was that he was a local boy, having lived only blocks away from Northwestern Park for most of his boyhood. Let April 11 henceforth be known as Oscar Charleston Day. Jackie Robinson Day is five days from now. On April 15, 1947, Jackie played his first game for the Brooklyn Dodgers. Needless to say, this was a very good thing for baseball and for America. But as is often the case with good things, there were ironic consequences. Almost overnight, once Jackie was donning a Dodgers uniform everyday black baseball became a source of embarrassment rather than pride for the African American community. What happened? 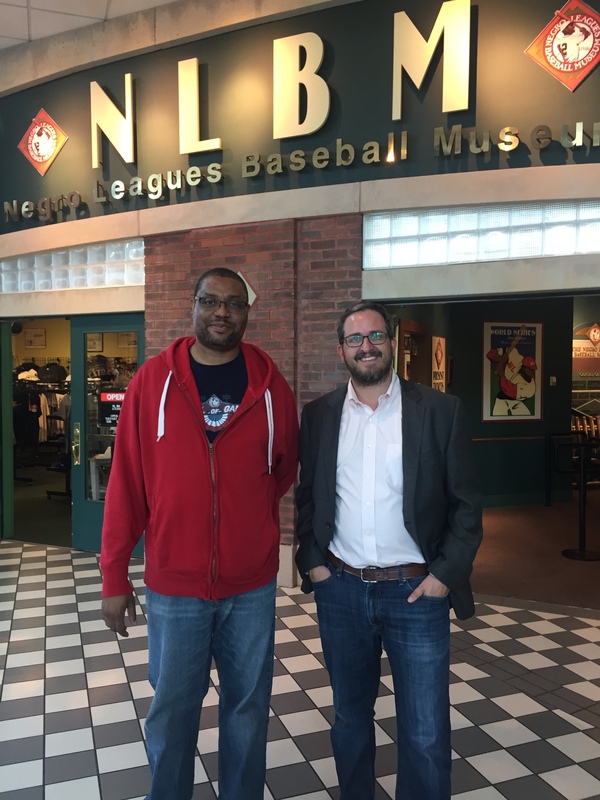 Prior to integration, especially when such a thing seemed impossible, black baseball was a symbol of black self-help, excellence, and professionalism. But after integration, it was simply a painful reminder of all that blacks had to endure under segregation. It became a symbol and reminder of blacks’ purported inferiority. Who wouldn’t want to forget about all that? That certainly wasn’t what anyone had intended. It’s an open question whether it was inevitable.